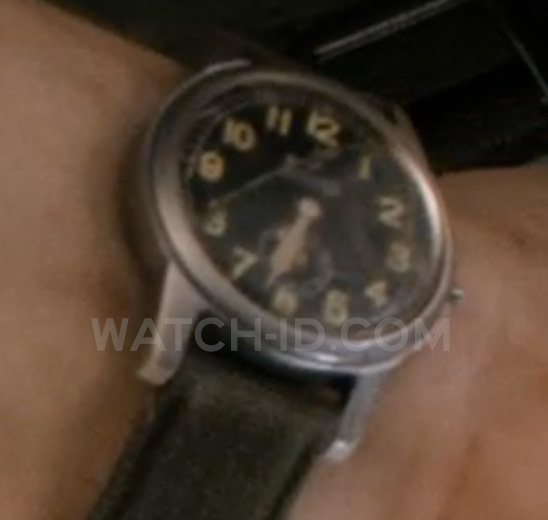 The Bulova 96A102 worn by Channing Tatum in White House Down is heavily damaged as can be seen in this image. The Bulova 96A102 watch has a green canvas strap, 40mm steel case, black dial with luminous hour markers. The Bulova 96A102 with green canvas strap watch worn by Channing Tatum. Channing Tatum (as John Cale, a Capital Police Officer) wears a Bulova 96A102 watch in the movie White House Down. This very nice, military style Bulova watch has a green canvas strap, 40mm steel case, black dial with luminous hour markers and one subdial. 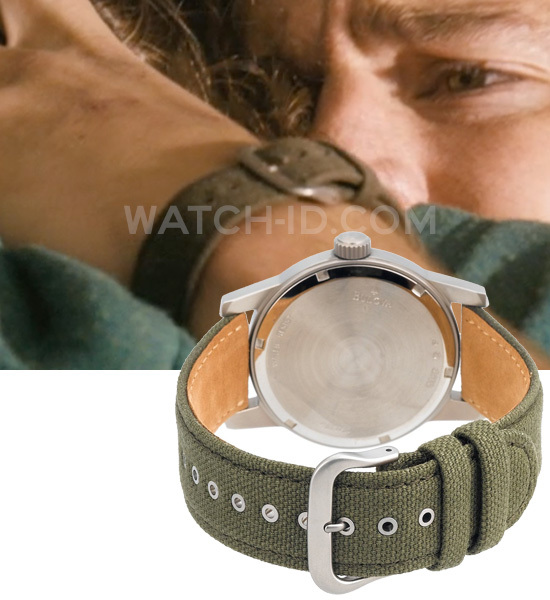 The watch is at some point in the film heavily damaged during the action: the glass is broken and the crown (button) is missing. 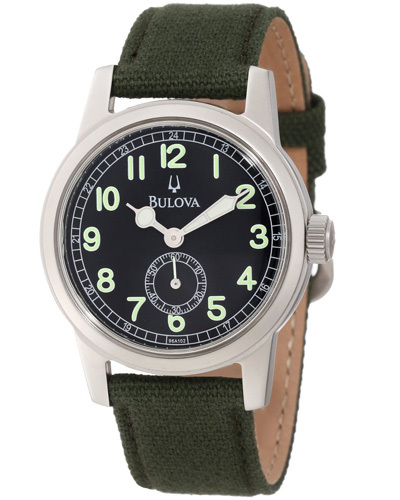 The 96A102 is from Bulova's 'Dress Collection' although the canvas strap and design of the watch are more reminiscent of a military style watch. This Bulova watch can be found on Amazon.com for only $80, on Amazon.co.uk for £47-87 or on eBay. In the same film, John Cale's daughter Emily (played by Joey King) wears a Timex T2N791 watch.